A discussion in the Sears Homes Group about the Sears Ashmore took me to Rose’s blog where I saw a testimony for a C125 and I thought, hey! I know where that house is! 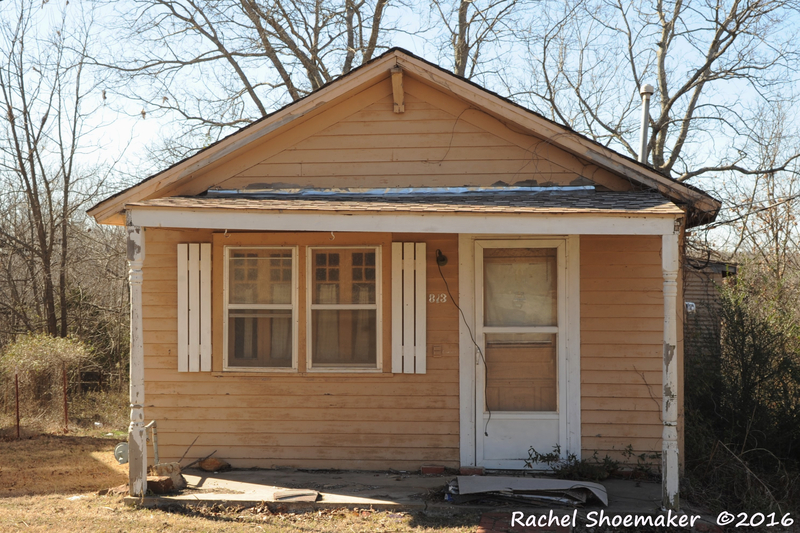 I’ve been trying to feature the ‘not seen very often’ kit homes lately and I’ve never seen anyone share a Sears 125….so, here we go! This testimony from my Sears 1917 Modern Homes catalog lead me to the only known to exist Sears 125. From the exterior the Sears 125 looks like a pretty non-descript hip roofed bungalow with a low shed dormer. the interior is interesting, especially for an everyday home. 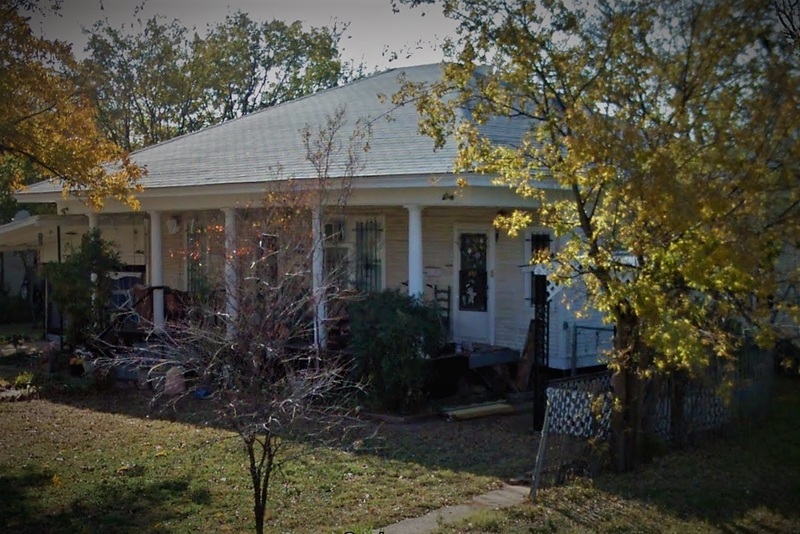 In 1912 a high school teacher in Abilene, Texas turned to Sears Modern Homes to build a home for his family of five. 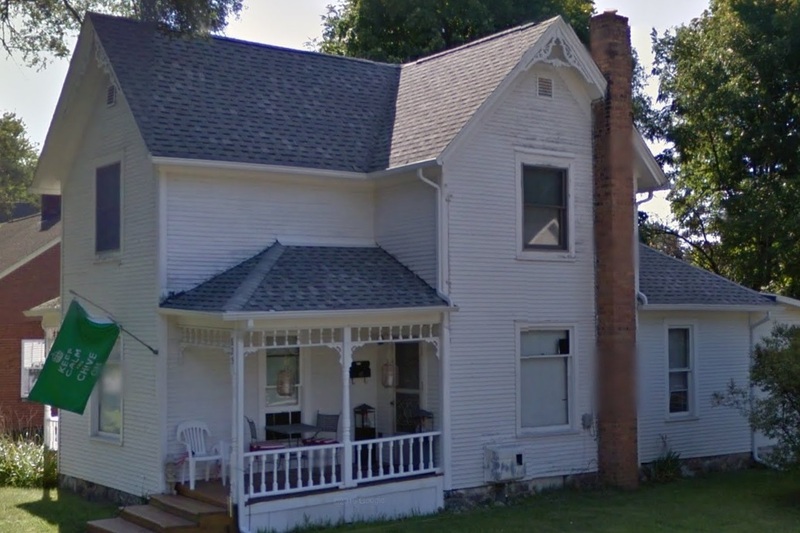 John Odor and his wife Addie and their three sons; Paul, Ernest, and Russell called this Sears 125 home for many years. Sears offered the 125 1908-1917. 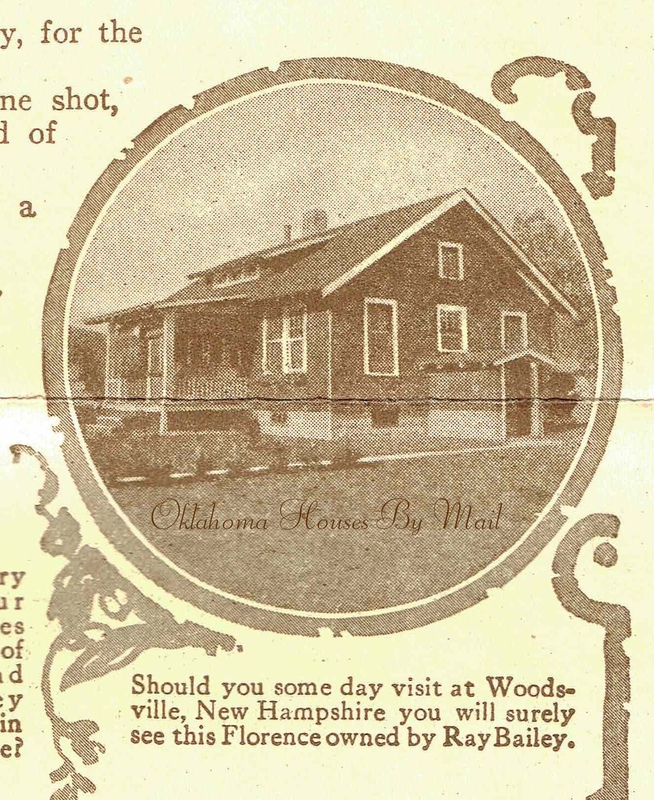 This image from my Sears Modern Homes catalog 1912 shows the price that John Odor would have paid for his house that he built in 1912. He saved $500.00 That’s a lot! Keep in mind, he had to have a lot, he had to purchase cement and masonry local and this price did not include anything electrical or plumbing, or heat. Just the structure. Looking at this floor plan, I can’t help but wonder if John made changes. Did he put in a bathroom? This was in the city limit of Abilene, Texas. Did he build real walls instead of beaded wall partitions? That might be fine for a summer cottage or a place on the waters edge to vacation. But, three rowdy boys 24/7 ? Likely not. 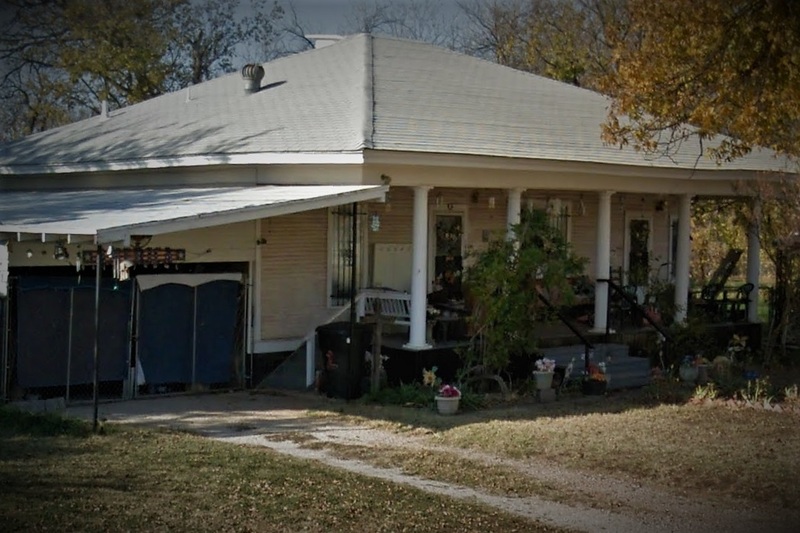 This google street view from the right shows what appears to be another door and mail box. It must be a duplex now. And we get a glimpse of the back between houses from the block behind. 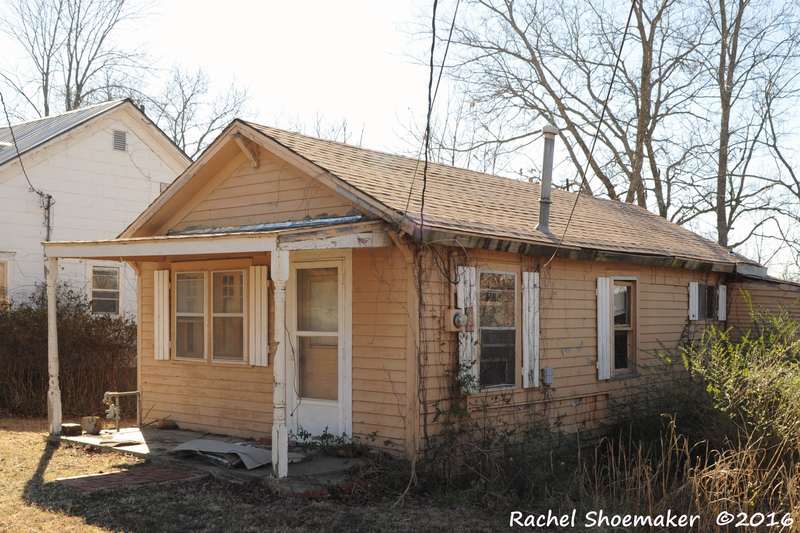 You may have noticed the low shed dormer was either omitted or removed at some point. I think likely omitted and this tiny dormer in the back was built instead, or maybe it was in the plans and we just don’t know since we can’t see the actual blue prints. No telling. Have you seen a Sears number 125? If so, please contact me! You can contact me through the Sears Modern Homes on facebook page. The first Sears Modern Homes community page on facebook since 2009! To learn more about kit homes and meet other enthusiasts as well as home owners join us in the Sears Homes Group on facebook The first Sears Homes Group since 2009! Pride of ownership in the Aladdin Florence! 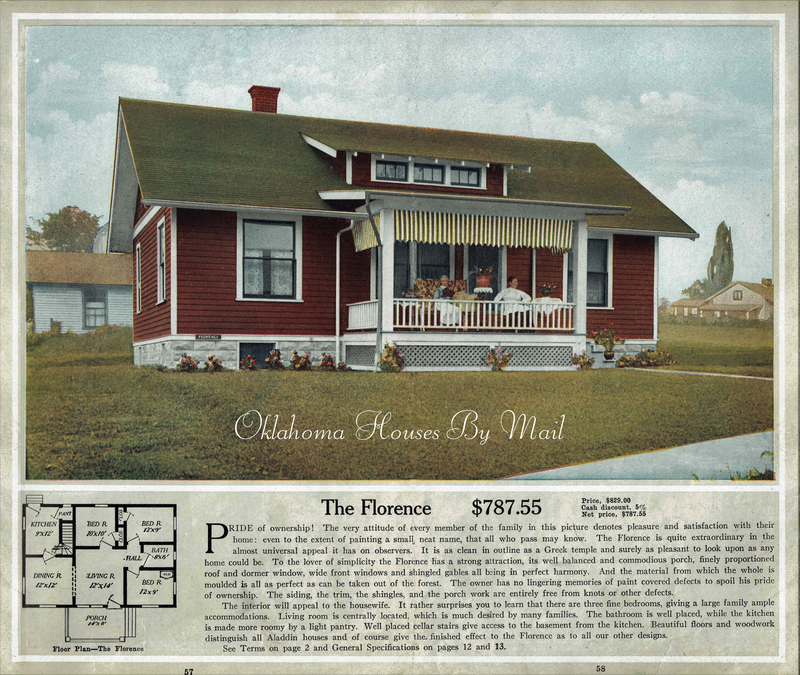 To the lover of simplicity the Florence has a strong attraction, its well balanced and commodious porch, finely proportioned roof and dormer window, wide front windows and shingled gables all being in perfect harmony. 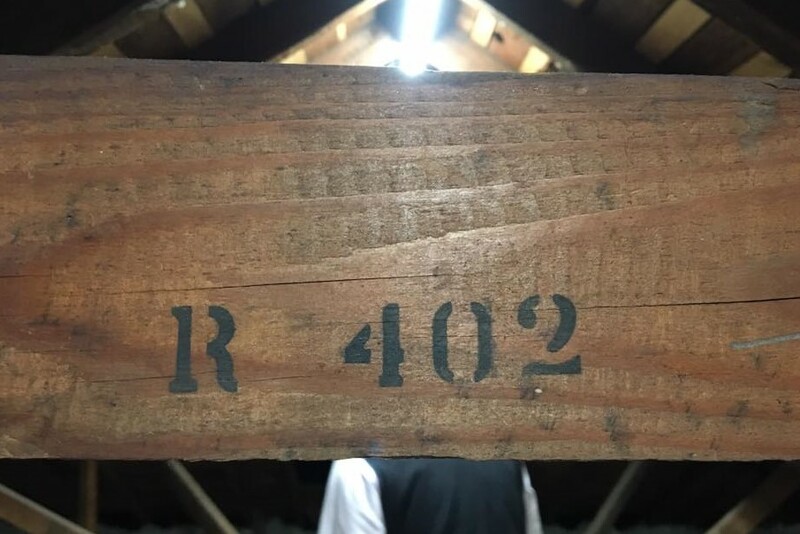 Let’s look at two great examples of the Aladdin Florence shipped from Bay City Michigan to Oklahoma and New Hampshire. The Aladdin Florence from my 1916 catalog, offered from 1914-1922. Click image to see in full resolution. This Aladdin Florence is in Erick, Oklahoma. Built by Grover Boyd Toon, a farmer, in 1920. 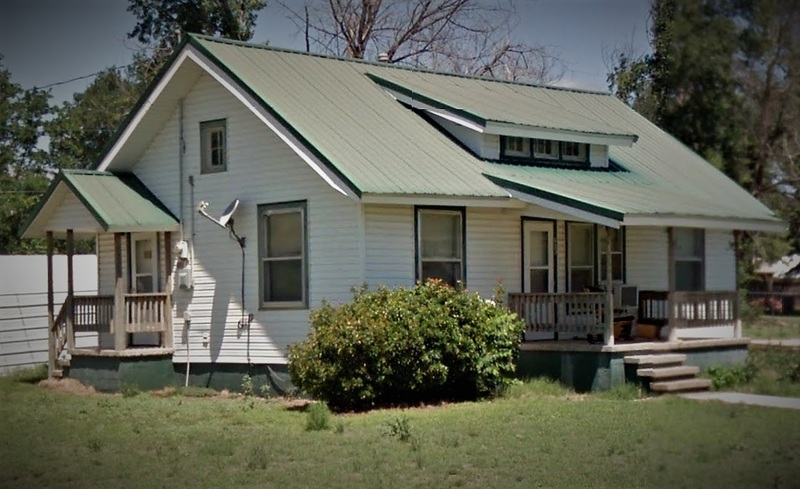 This once farm home was home to Grover, his wife Emma, and their two daughters Mildred and Ruth and son Elmer for many years. This Aladdin Florence was built in Haverhill, New Hampshire by Ray Bailey a railroad brakeman. Ray Bailey of Woodsville, New Hampshire extended an invitation to see his Aladdin Florence in this testimony I found in an Aladdin Magazine from my collection. The Aladdin Florence, home of Ray Bailey , his wife Alice and their three children Kenneth, Marjorie and Eleanor in Haverhill, New Hampshire. Are you living in a kit home? Know of one? Need help identifying one? If so, please contact me! The Emerald was constructed of the same grade of materials as the larger more expensive homes that Aladdin offered. In 1920 a hardware salesman, Frank Foote, ordered this Aladdin Emerald. It was shipped to Pawhuska, Osage County, Oklahoma. 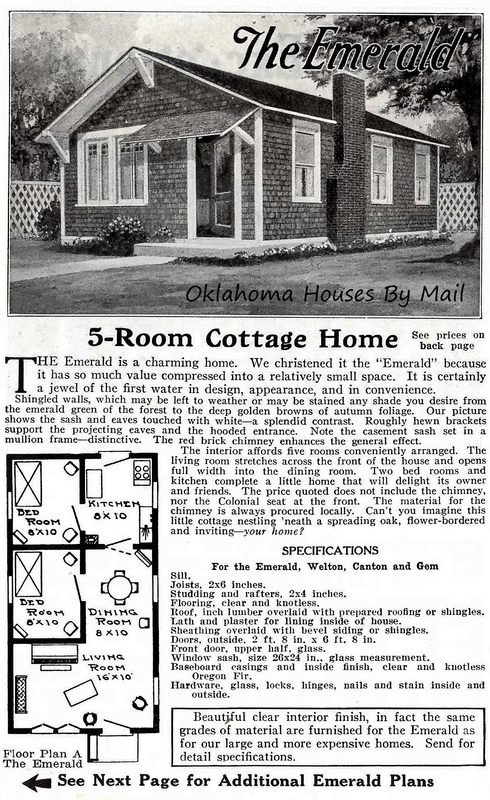 If you click on the image and zoom in you will see that the Aladdin Emerald in Pawhuska, Oklahoma still has the original mullion frame casement windows mentioned in the catalog description! This Aladdin Emerald was the home of Frank Foote, his wife Grace and their daughter Bessie. Bessie married in 1934. Frank and Grace were still living here in 1940. Frank passed away in 1947 and Grace passed away in 1973. Bessie was an honor student at Pawhuska. She went on to college, married an accountant, Leroy Hayden, and they eventually ended up in Dallas, Tx. Bessie passed away in San Antonio in 1997. I stopped by the train depot in Pawhuska. 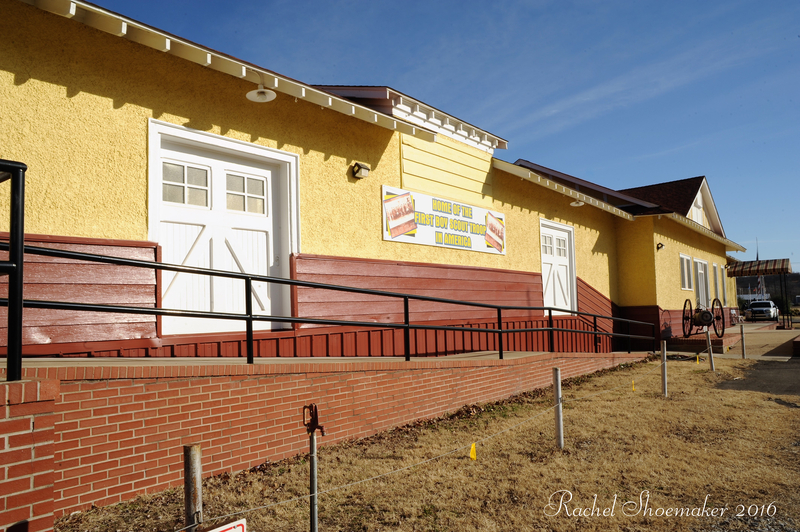 It is now the Osage County Historical Society. I didn’t have time to go inside, it was the end of the day. Next trip! 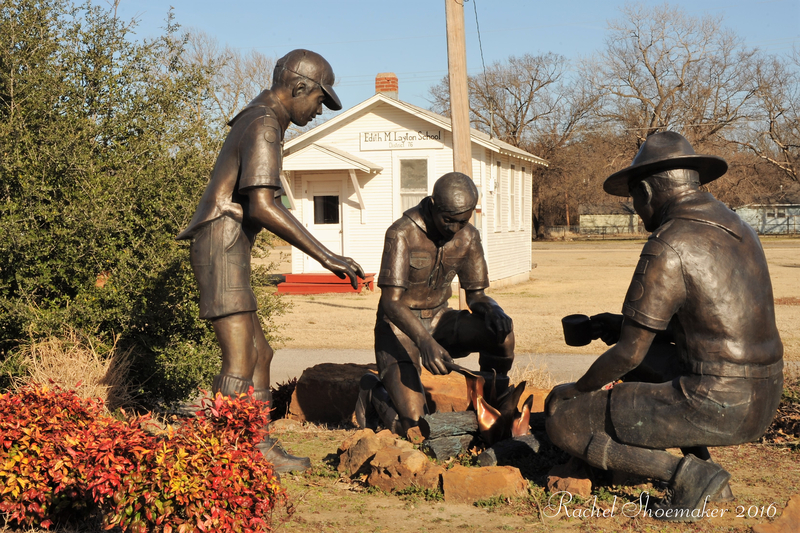 I also learned that Pawhuska is the home of the first Boy Scout Troop in America! This monument is outside of the train depot in Pawhuska. It lists the first Boy Scout Troop members. The name at the top on the right column is RD Foote. I bet he is related to Frank Foote. This statue is located at the train depot too. 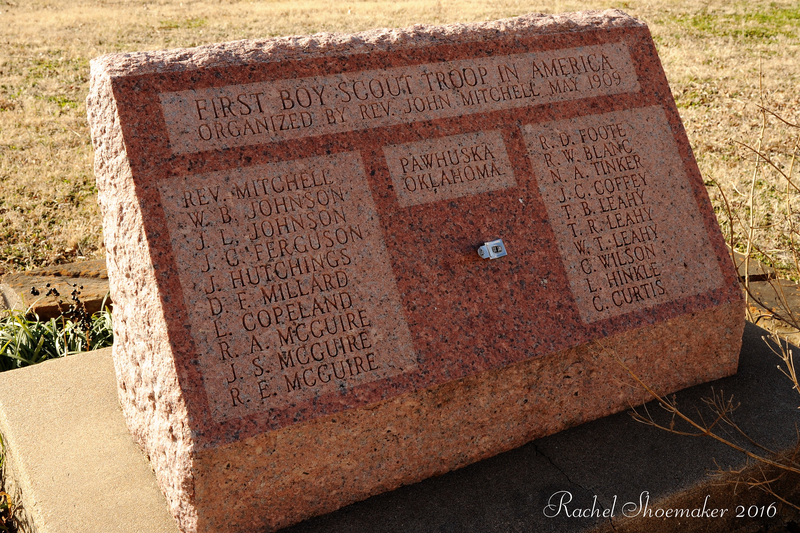 It commemorates the first Boy Scout troop in America. On my next trip, I’ll visit the museum and eat at Ree Drummond’s new place! 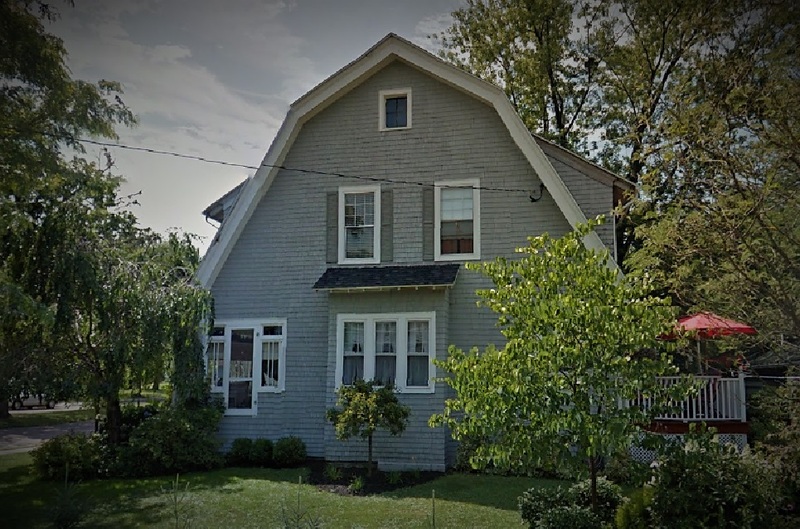 The Sears Modern Home number 164 is a colonial with gambrel roof. 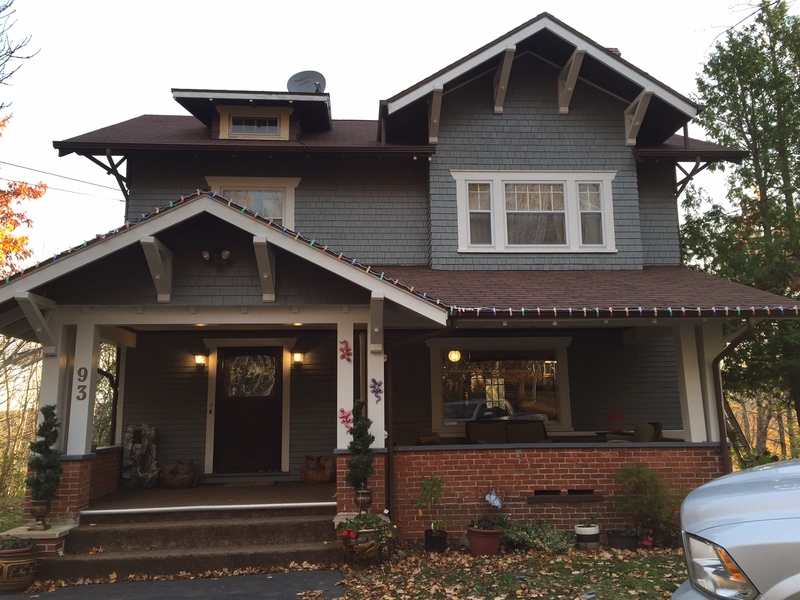 The entire house is sided with shingles including the porch columns. I have three to share in this blog. Maybe you have seen this rare house! The Sears 164 that was built in Dunkirk, New York . 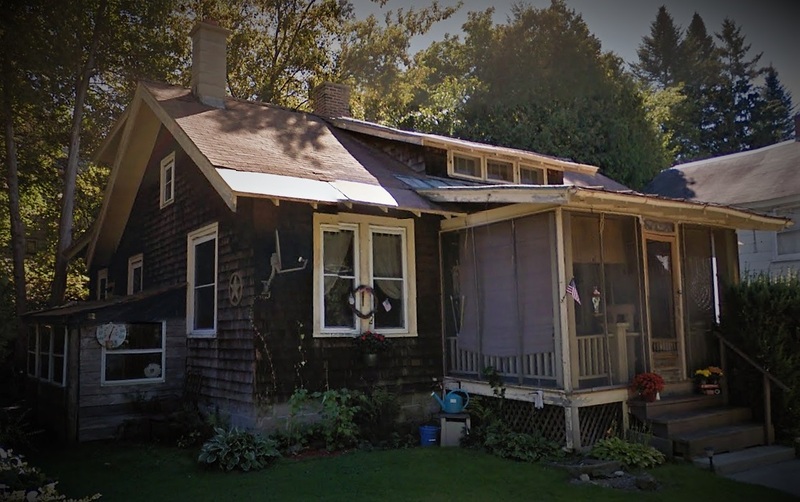 It still has the shingle siding! The Sears 164 that was built in Dunkirk, New York . The Sears 164 that was built in Dunkirk, New York . Here’s a look at the back, something we don’t always get to see! 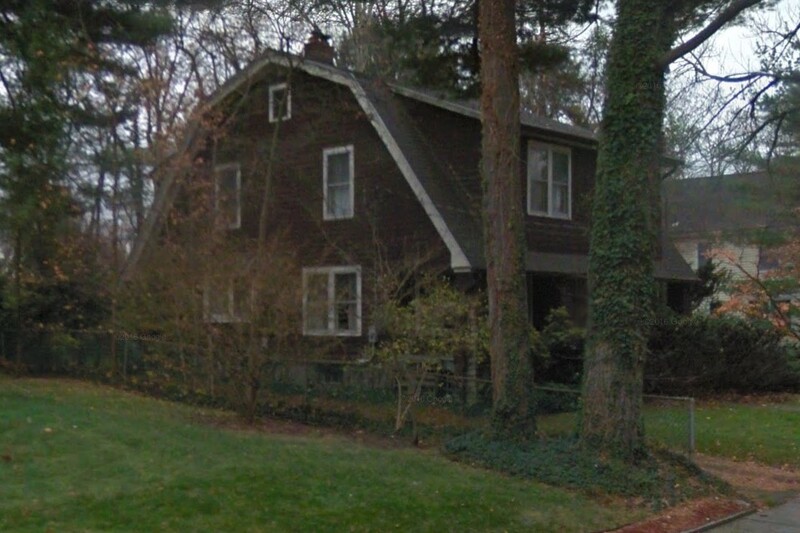 This Sears 164 was built in Closter, New Jersey. 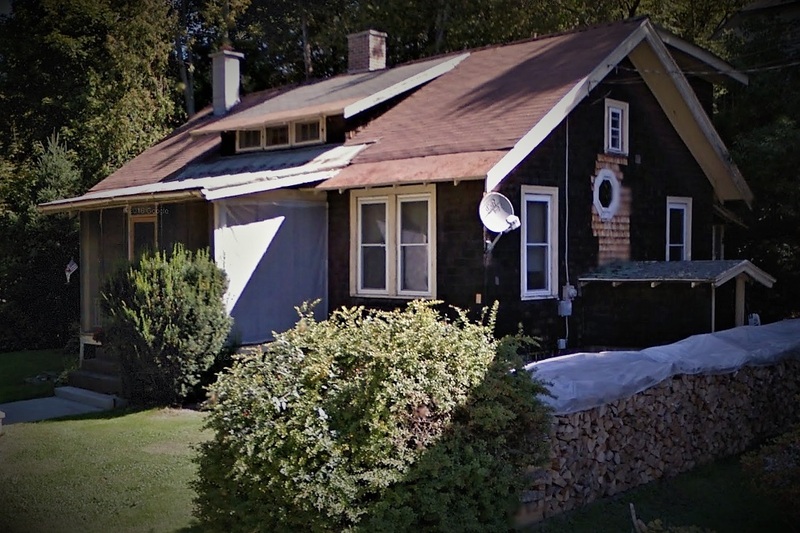 It also still has the wood shingle siding! 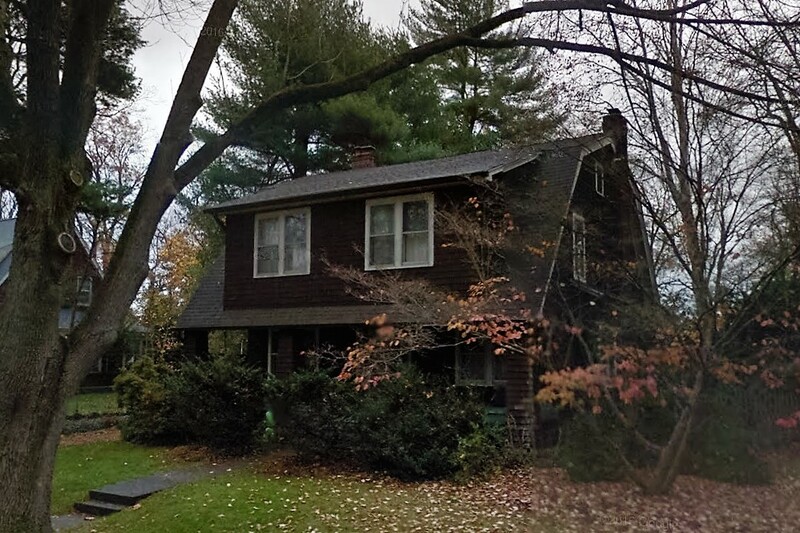 This Sears 164 was built in Closter, New Jersey. You can just barely make out the living room bump out. 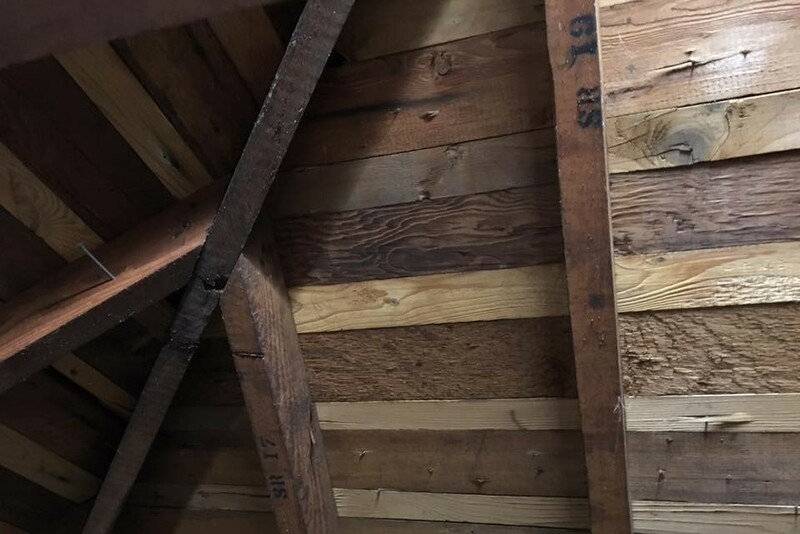 We can’t see the back of the Sears 164 in Closter, New Jersey but we can see the left side this time. Have you seen a Sears number 164? If so, please contact me! You can contact me through the Sears Modern Homes on facebook page. 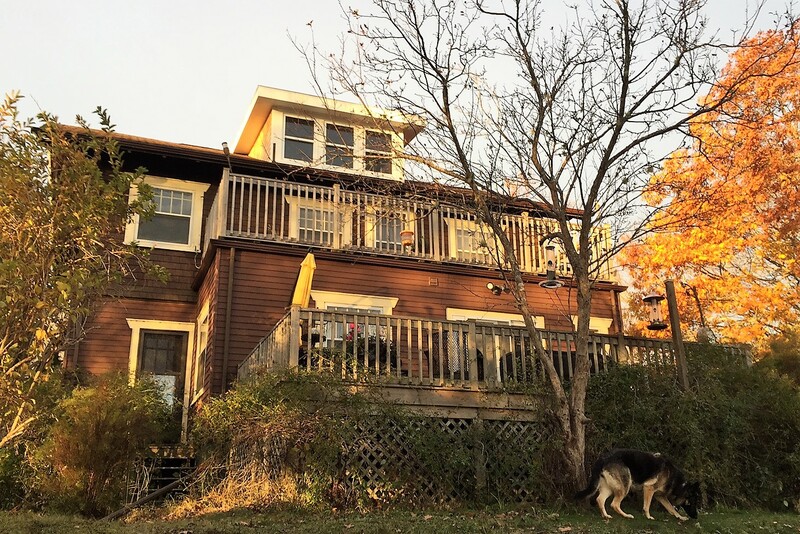 A few months ago I received an email asking for help from someone who was researching her home. She thought it might be a kit home but couldn’t find anything that would match. I was told the house was in Nova Scotia. That didn’t rule out a kit home but the first thing that came to my mind was a pattern home. I told her to email me a few photos and I would take a look. I immediately recognized the house! 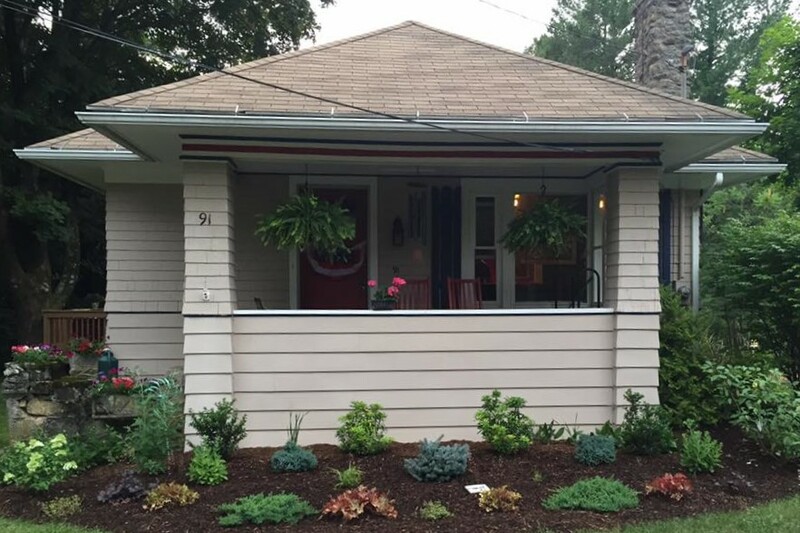 The Nova Scotia bungalow is a good candidate for a Henry Wilson number 167. 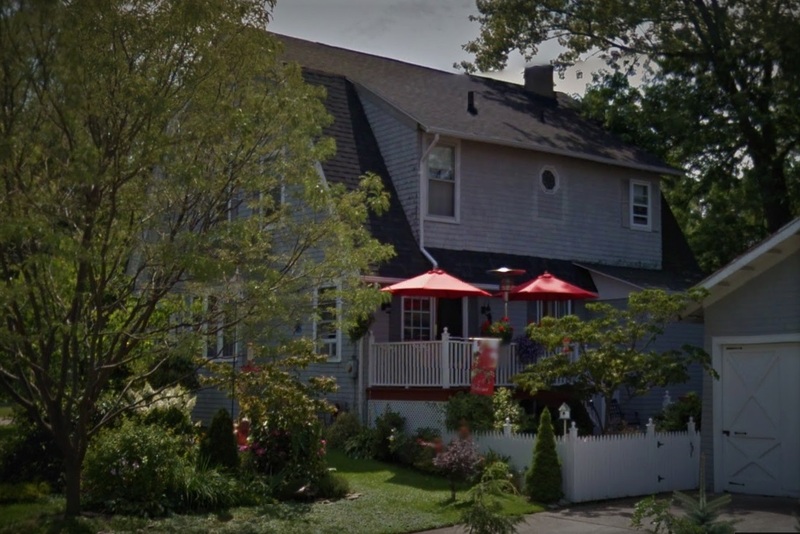 I believe this Nova Scotia bungalow was built from Henry L Wilson plan number 167. 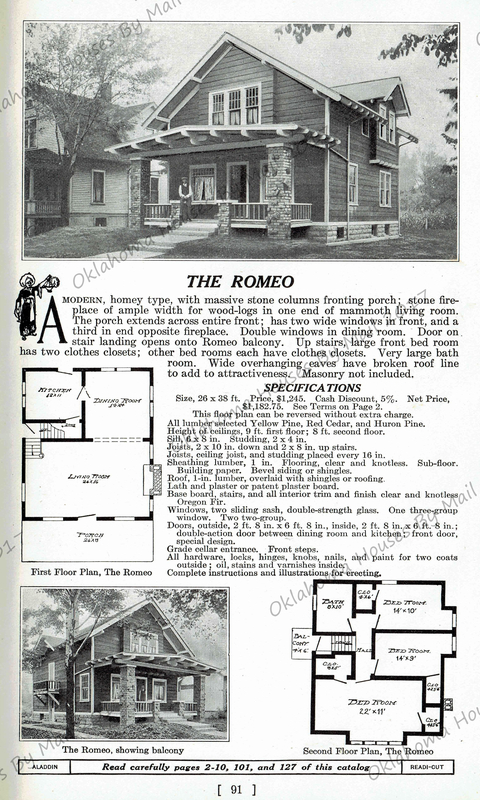 This is from my 1907 Henry L Wilson catalog, The Bungalow Book. I think this may be the earliest publication for Henry L Wilson designs. It’s the earliest I’ve seen anyway. 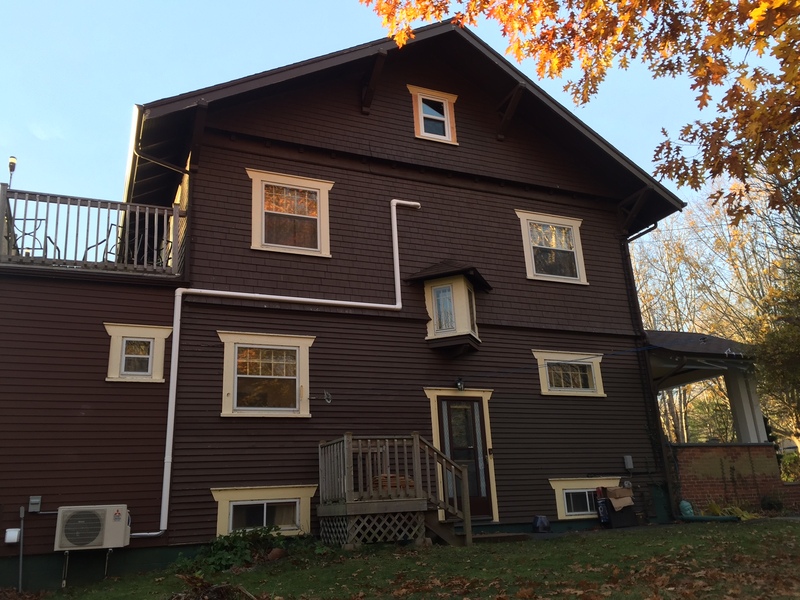 The bungalow in Nova Scotia was built reversed, an option offered to homeowners. Click on the image to read that small print and see the catalog page in full resolution. 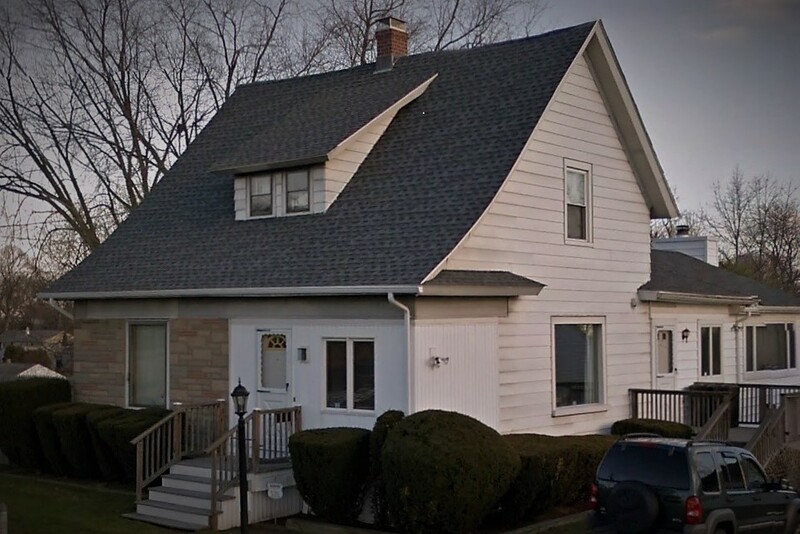 I couldn’t help her as far as who built this house or who lived here but I’m pretty sure that this bungalow was built with the plan that Henry L Wilson designed in 1907. It’s a good candidate anyway. Wilson’s plans were sold throughout the US and Canada. It looks like the fireplace was omitted. The back of the bungalow with an addition and newly added dormer. 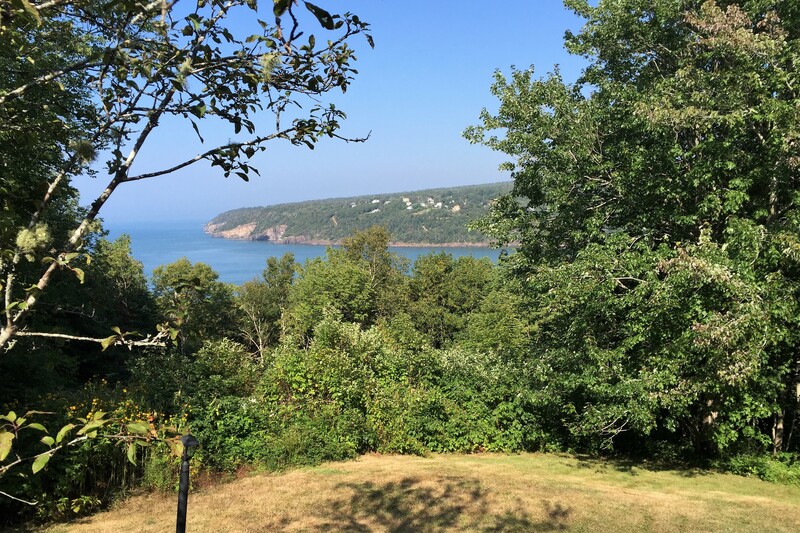 And the view from the deck! Beautiful! 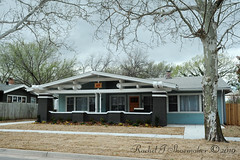 To see another Henry L. Wilson bungalow click here. 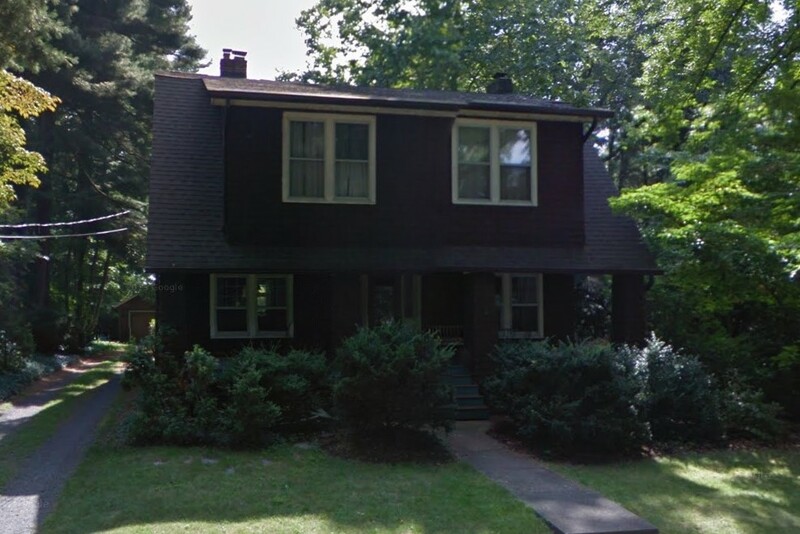 Using a testimony from 1914 I was able to locate a Sears Modern Home No 135. A quick internet search doesn’t turn up anything on the Sears 135. 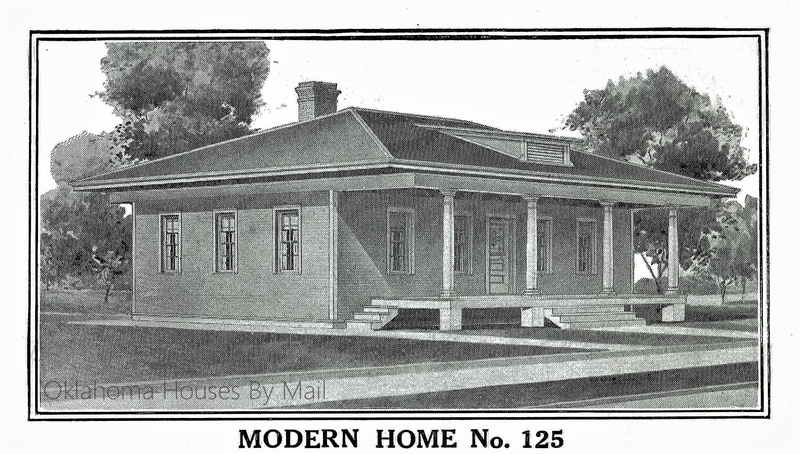 The Sears Modern Home 135 was offered from late 1908-1915. 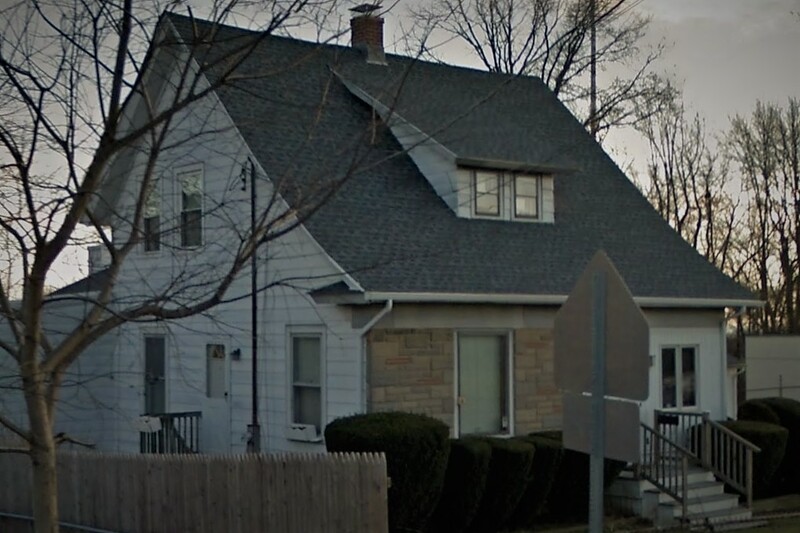 If you recognize this house as a house you have seen please contact me! This is the Sears 135 from my 1914/15 catalog. This model was first offered in fall of 1908 and last offered in 1915. You can see a testimony at the bottom of the page for a 135 built in Huntington, West Virginia. 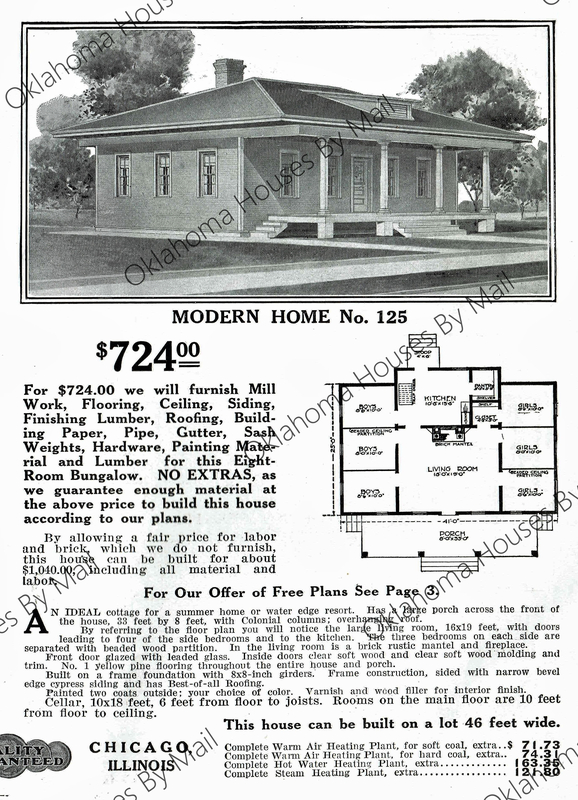 To see the Sears Modern Homes 1914/1915 catalog click here. 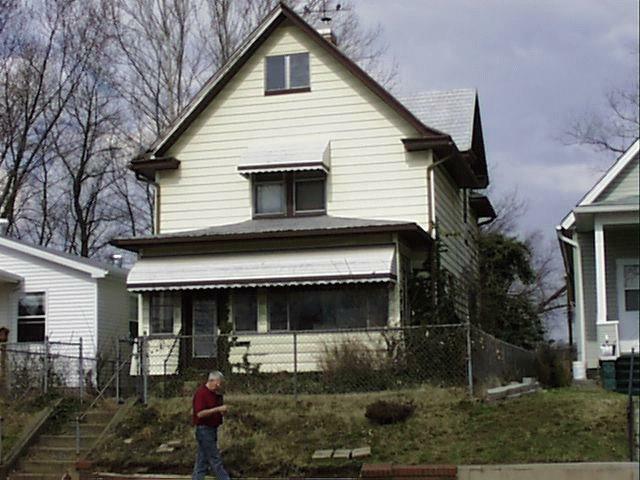 This Sears Modern Homes 135 is in Huntington West Virginia. 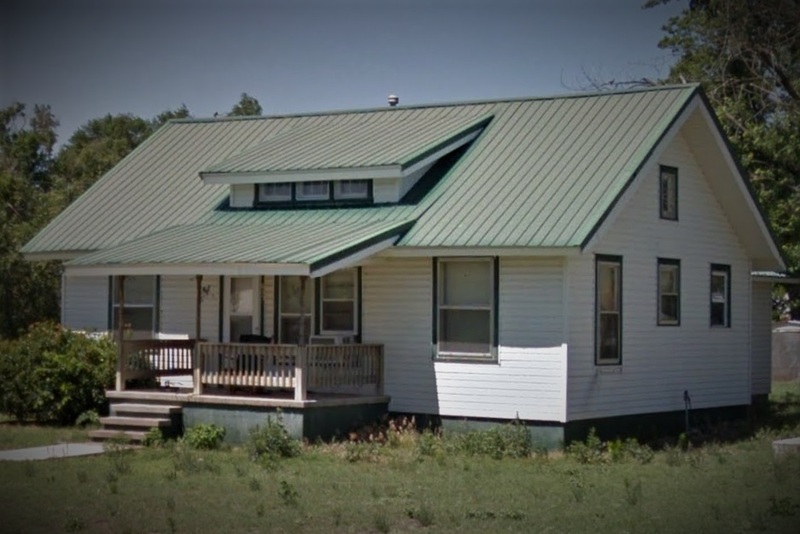 It was the home of railroad employee Jay Innis and his wife Zella Mae and their three sons. To see Sears blueprints click here. Featuring an Aladdin Bungalow, The Romeo. A homey modern type. Offered by Aladdin 1913-1916 from a borrowed California bungalow design. Aladdin was a kit home company located in Bay City, Michigan selling kits from 1906 – 1983. This testimony in my 1915 Aladdin catalog led me to an Aladdin Romeo built in San Diego, California. 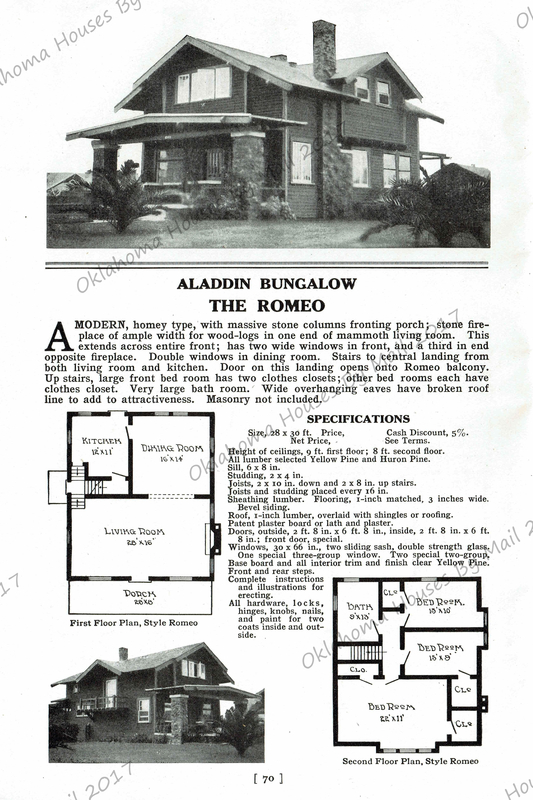 The Aladdin Romeo was a modern and homey bungalow design that Aladdin borrowed from The Los Angeles Investment Company. This image is from my 1913 Aladdin catalog. 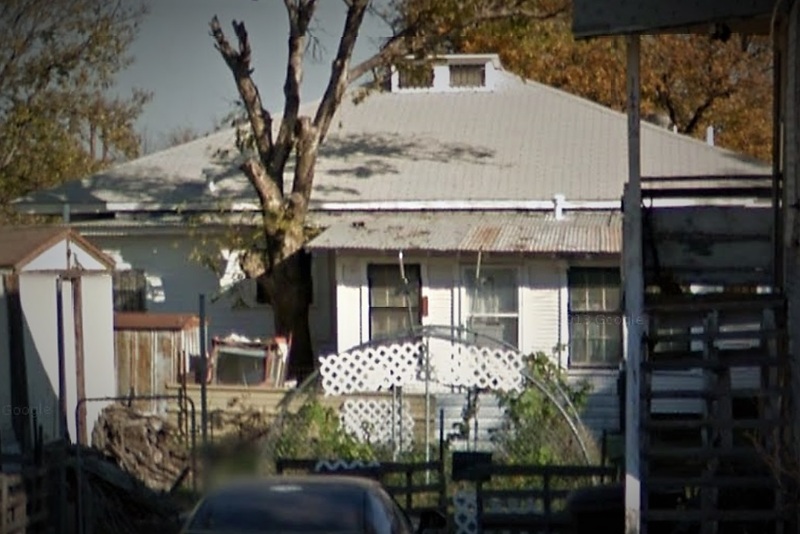 The 1915 testimony led me directly to this house. 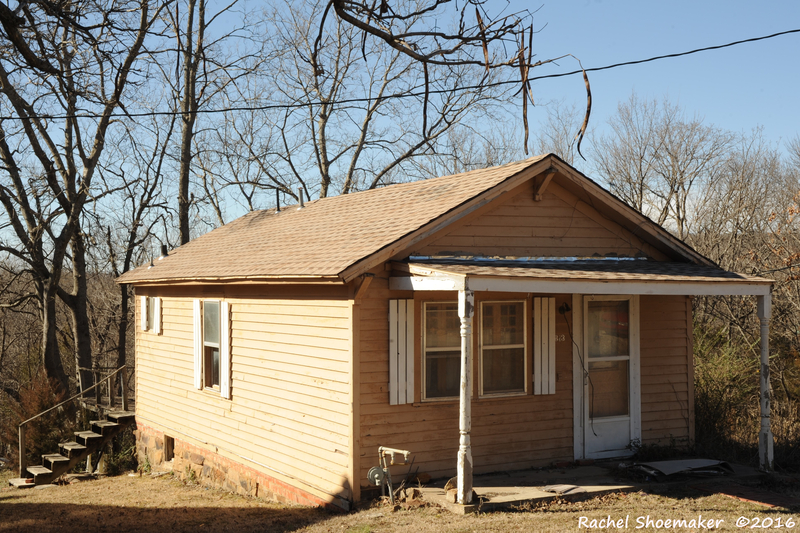 This was the home of Ananias and Susan Boughman. 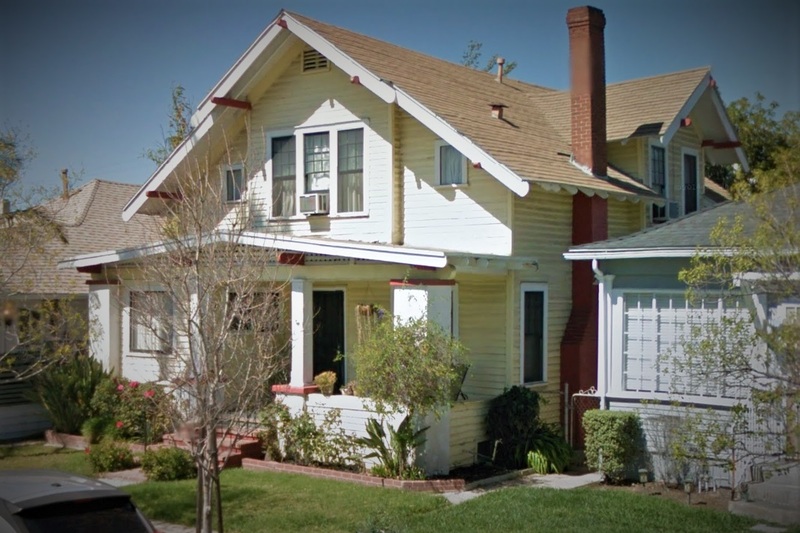 The Boughmans lived in this home from 1914-1918. Susan passed away in March of 1918. Ananias moved out and away. He passed away in 1924. The Aladdin Romeo had a couple of minor changes in 1915, can you see them? Not just the physical appearance either. 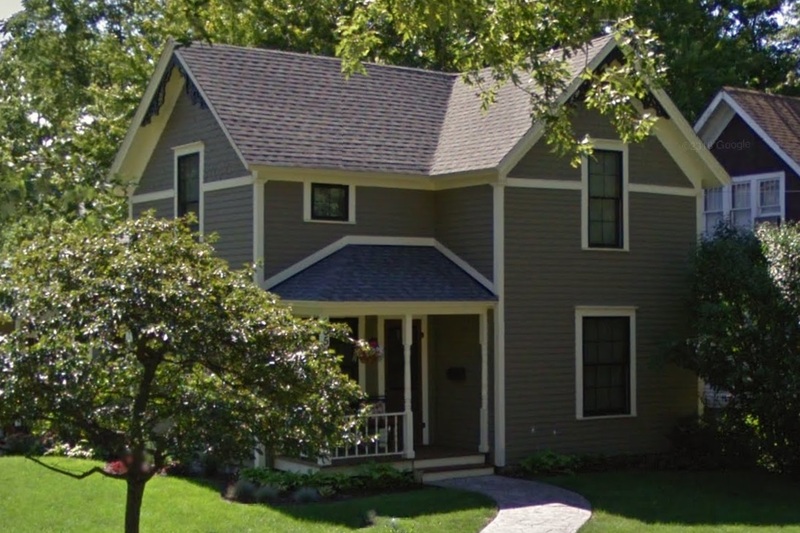 This house may be a model built in Bay City, Michigan. I don’t know. I mentioned that Aladdin likely used a design from Los Angeles Investment Company for the Romeo. Here’s that design, 537B. 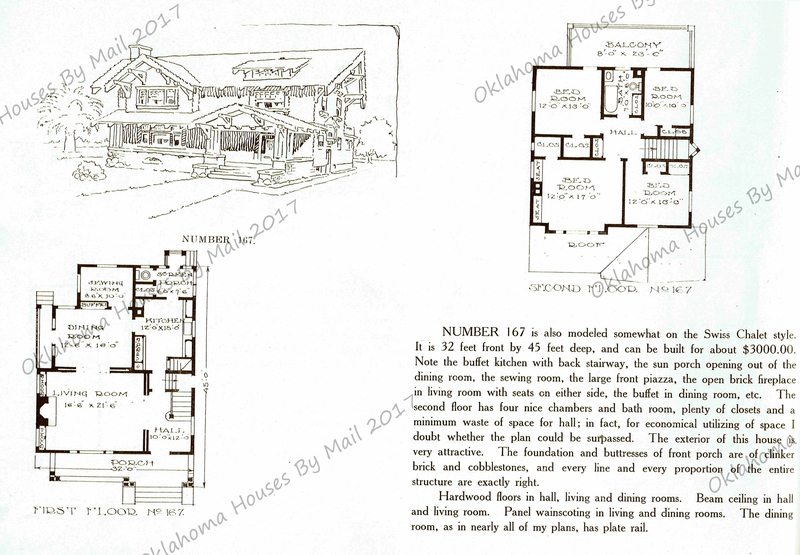 There were often 2-3 floor plans and/or facades for each design. The 537A is the same floor plan but a slightly different facade. This is a 537B in Los Angeles California, Deeble Tract I believe. 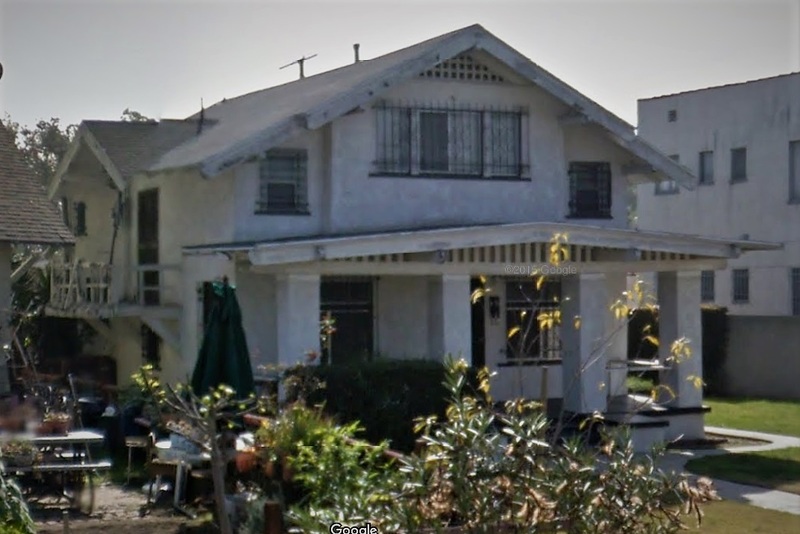 I went through the tracts that LA Investment developed and identified the houses and found the models used in their catalogs. Can you see how frustrating it can be identifying kit homes? 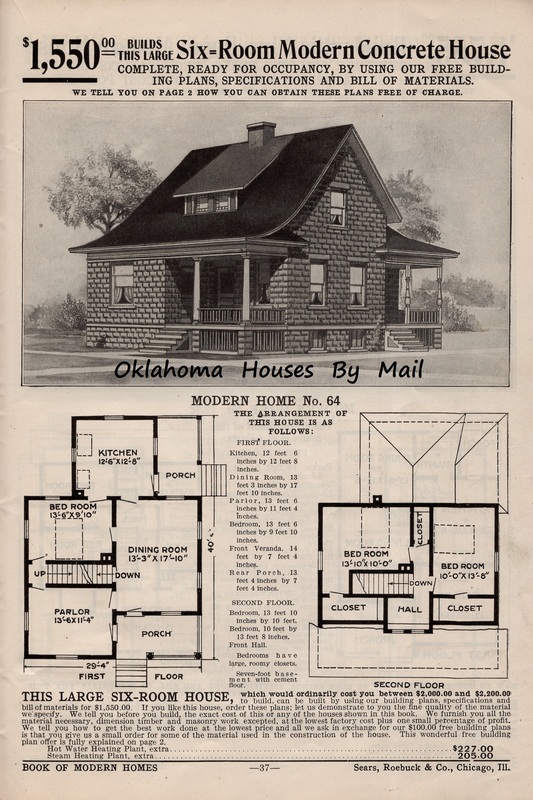 So many kit home models were borrowed designs…especially the early bungalows! 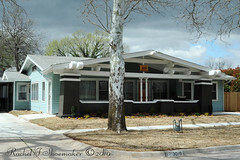 I have a handful of blogs featuring these houses, just search California bungalow and my blog and they should pull up. 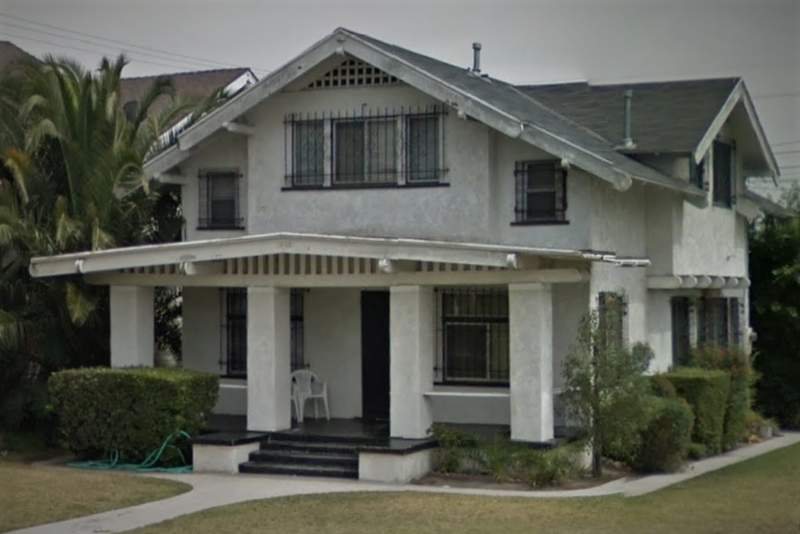 I get emails frequently from folks in California who think they have a Sears home and think that the bungalows were inspired by or designed by Sears. Actually, it’s vice versa! Well, you’ve got a good idea of what an Aladdin Romeo looks like and a Los Angeles Investment Co 537B. If you know of one or find one let me know and I’ll see if I can figure out which it is…kit or pattern. 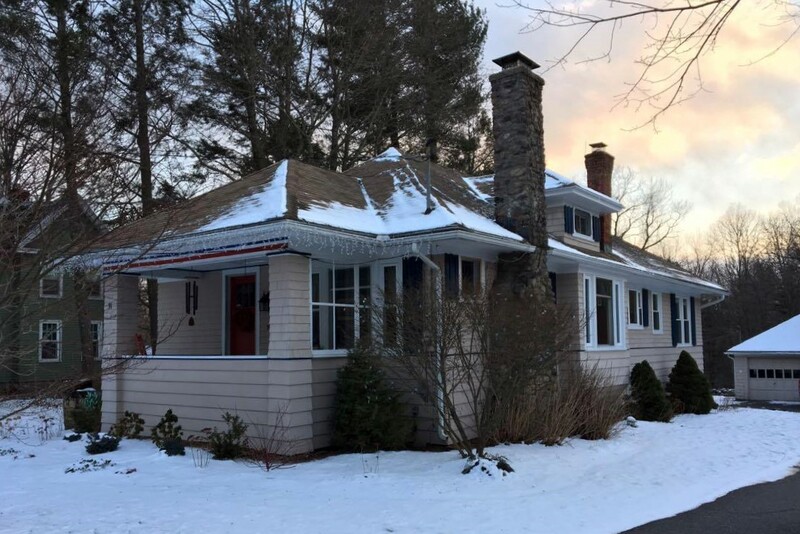 It’s a pretty distinctive bungalow and should be easy to spot if you happen upon one! 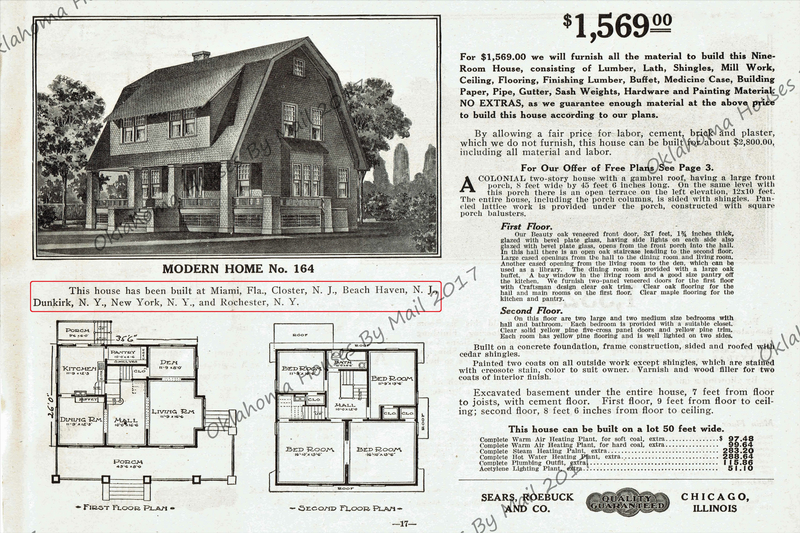 Sears began offering house plans in 1908. 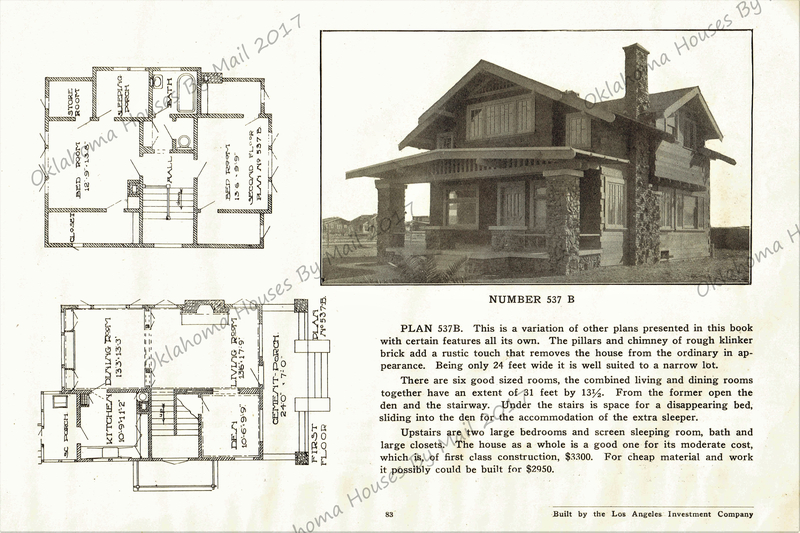 The first Sears Plan Catalog was published in 1908. 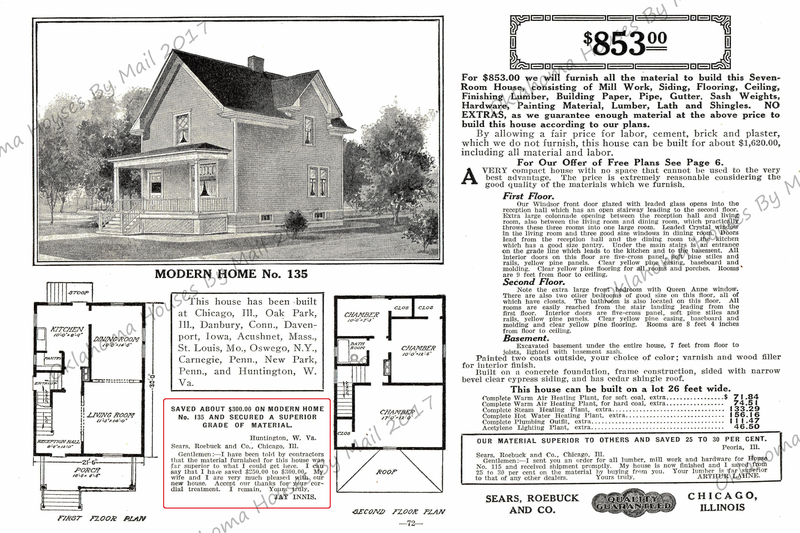 According to the Sears Archives the first bill of sale for a complete “modern home” was in 1909. I know that isn’t accurate because the homeowner of the Sears 132 in Colorado Springs shared with me copies of all documentation with exception of the original blueprints which no longer exist. 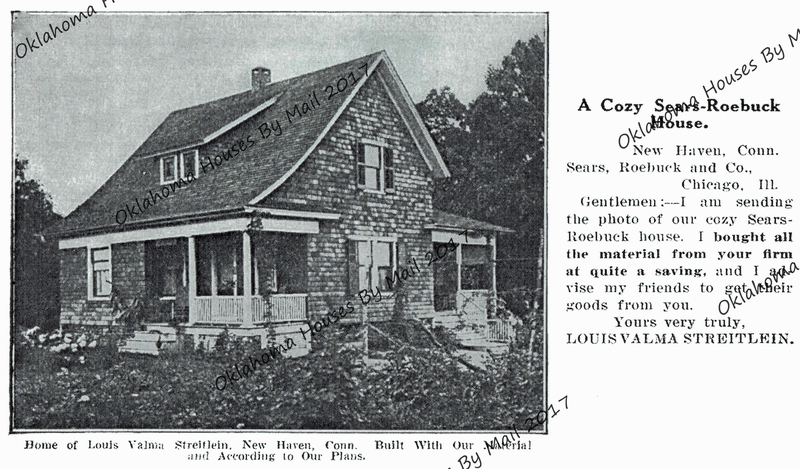 Because of a few testimonials from 1908 I have more Sears Modern Homes built in 1908 to share. 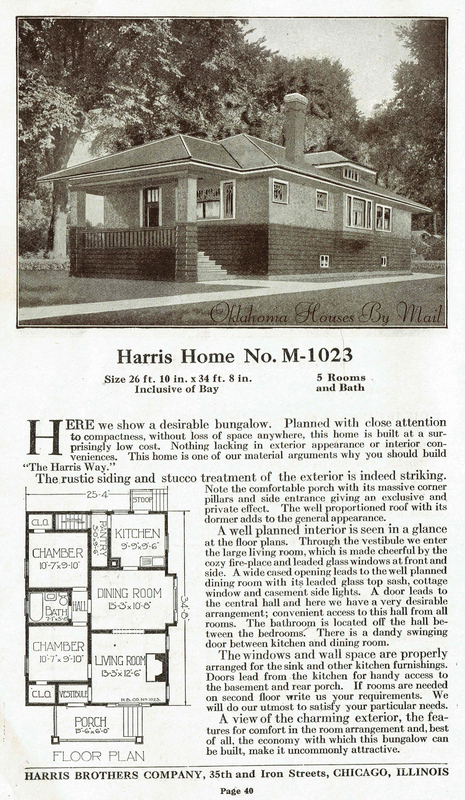 Modern Home No 101 was one of the first plans offered by Sears when Sears Roebuck began offering homes plans in spring 1908. 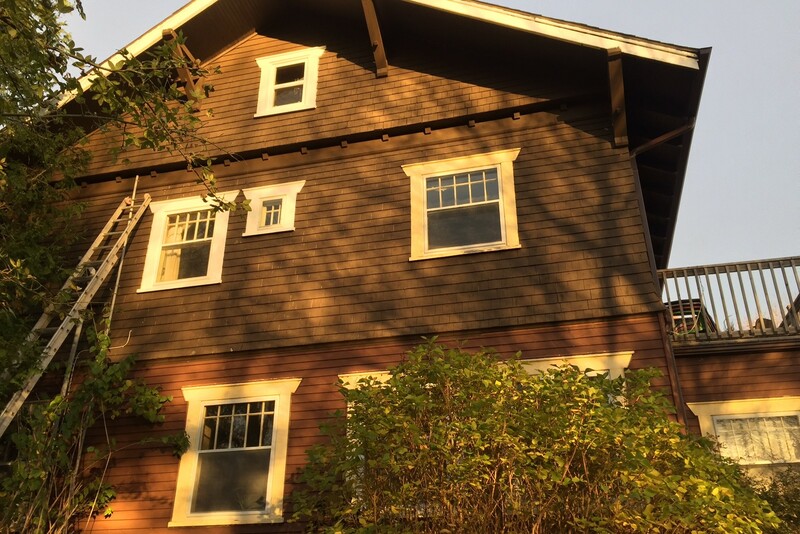 This model was slightly altered in 1910 when they clipped the gables. 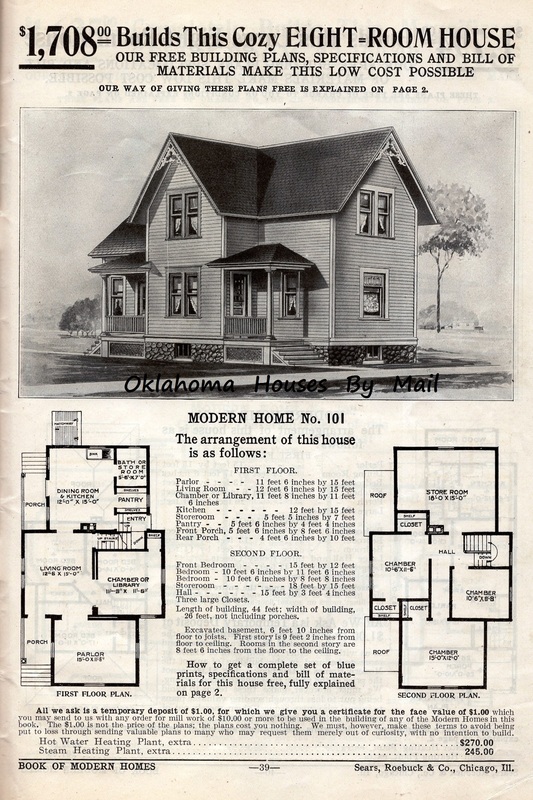 The last catalog that offered model 101 was the 1914 Modern Homes catalog. This is the first of two Sears Modern Homes No 101 built by a Brighton Michigan carpenter, William Shannon. 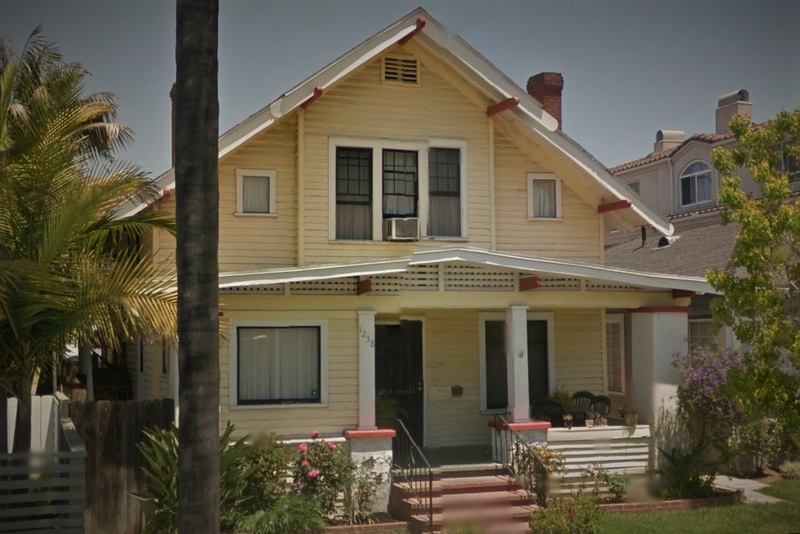 This is the second Sears Modern Home No 101 that carpenter William Shannon built in 1908. 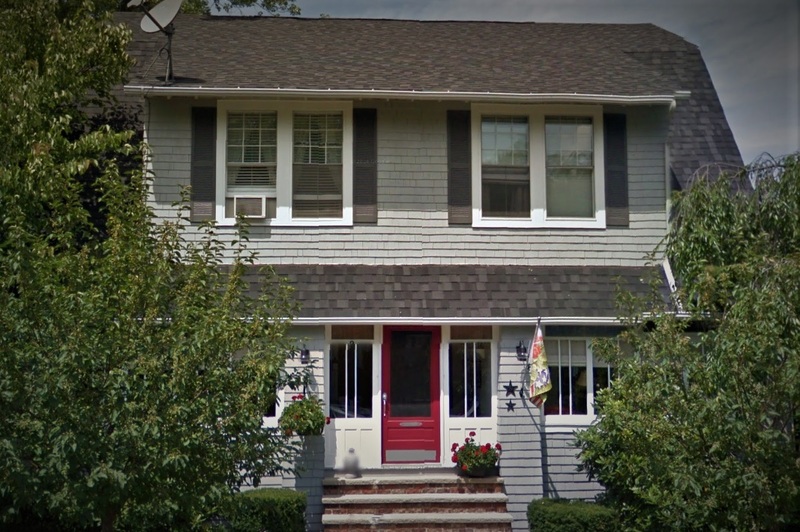 The two houses were built across from each other in Brighton, Michigan. 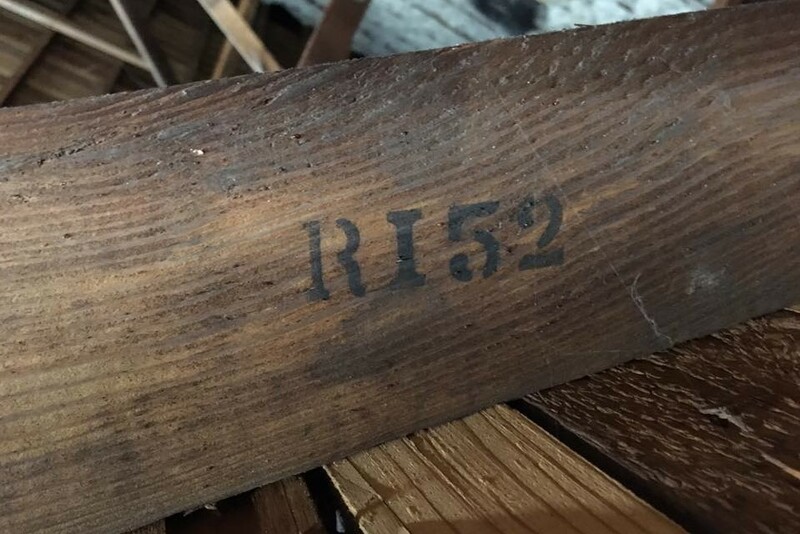 The build dates in the county records are 1908. the testimony is from 1908. Click here to see the testimony from William Shannon.